We have tried to approach the subject from various aspects, so this refill is an interesting mixture: you might use it as a conventional sound library, or explore the experimental parts, which might be very useful for creating and playing totally new sounds in totally new ways. But, before you fire your singer: keep in mind, Cybervox is only a voice refill and toolkit, it won't replace a real singer! ;) It's a great tool to create a wide range of special robotic and human like sounds, but not a know-all stuff. Let’s draw up an analogy taken from the art of gastronomy! 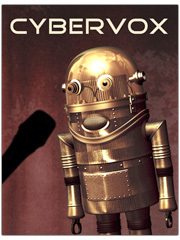 If – for example - Analogue Monsters is the vegetable fundamentals and Virology is the meat ingredient to the wonderful plate, then Cybervox is a fine picant herb: a bit spicy in itself, but if added in proper quantities, it will magnificently make your masterpiece tasty and delicious.